Bold, striking cat-eyes was a huge trend on the Fall 2013 runways. Designers took the cat-eye to an extreme and incorporated bold colors into their eye looks. Jason Wu’s makeup artists used a violet hue while Christian Dior’s chose an icy blue shade. Want to recreate this daring eye trend? Take a color of your choice and line your upper and lower lash lines. Take the same color on a small angled brush and wing out the liner for that intense cat-eye shape. I’m super excited to try this out with my new stila turiquoise (more of a mint green) liquid eye liner. Will you be “catifying” your eyes with some color? The textured manicure has been a huge trend this past year. It all started with Ciate’s Caviar Manicure set and from there quickly manifested into other nail art trends. The latest of this nail art frenzy is the liquid sand manicure. 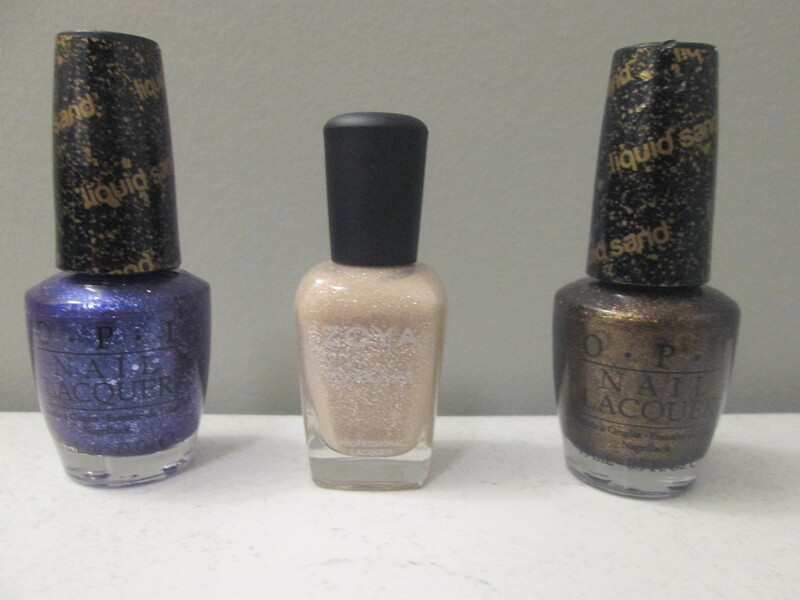 Brands like OPI and Zoya have each launched their own liquid sand nailpolish. 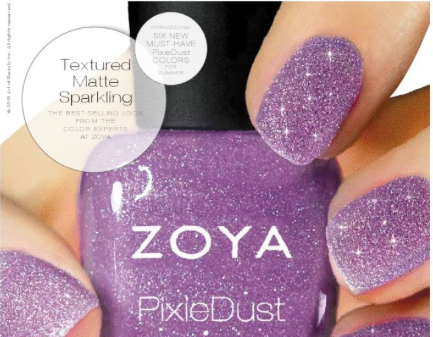 To achieve this look paint two coats of either OPI Liquid Sand or Zoya PixieDust. The key to this trend is not using a topcoat to show the textured matte finish of these new, innovative nail lacquers. While I don’t have too many of these unique polishes in my stash, I do really enjoy them. The texture is quite durable and allows for at least a week of wear with minimal chipping. The colors I have are quite dark and more neutral. 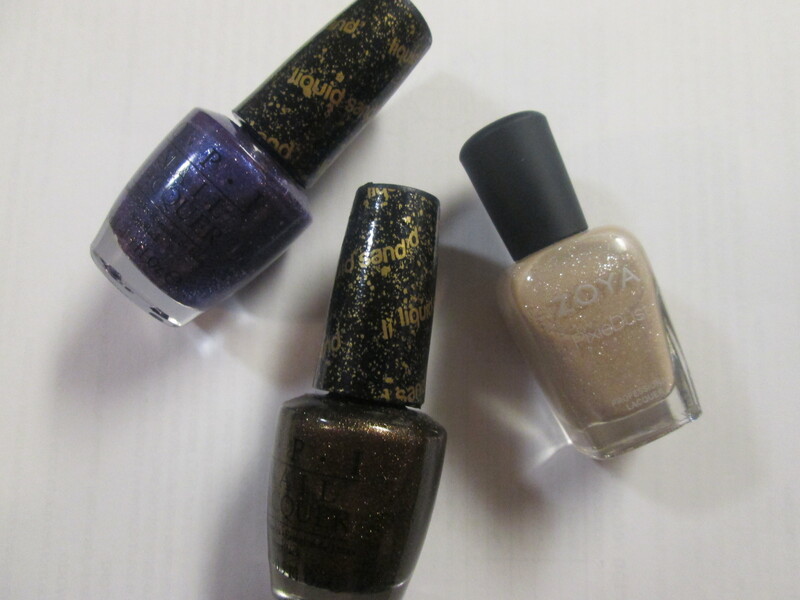 Maybe I will pick up some of the brighter colors from the OPI Bond Girls Collection and The Zoya Summer 2013 PixieDust Collection. What do you think of the textured mani? No more voluminous curls for Fall 2013. It’s all about the sleek and straight ponytail-with a twist. 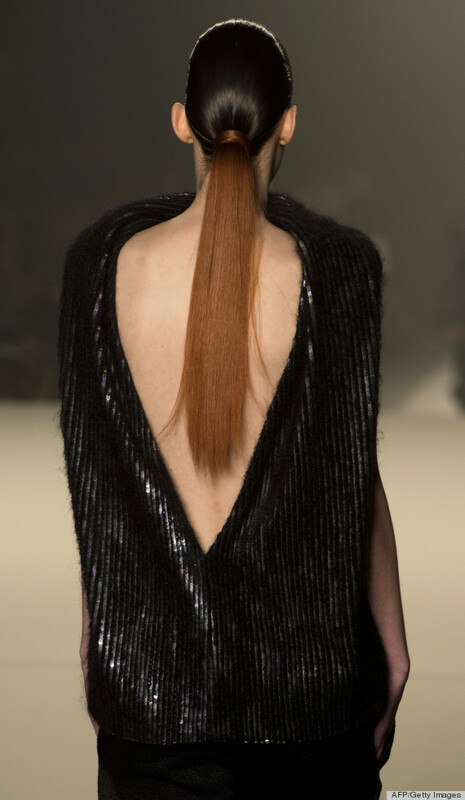 Designers like Alexander Wang showcased this sophisticated hair look on his Fall 2013 runway.The pulled together look of the ponytail really adds an overall sophisticated feel. To achieve this chic and sleek hairstyle take some hair gel or hairspray to tame any flyaways you may have. Then gather the hair in a low ponytail and secure with an elastic band.